CEX pays more £££ for your old stuff! Buy, sell and donate phones, games, movies, computing kit & gadgets. 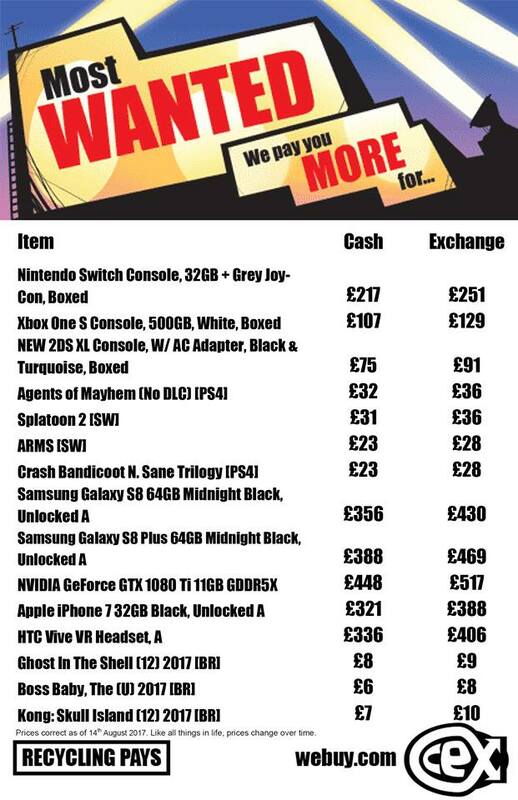 Visit CEX Park Centre and find out how much yours are worth!